Would you wear this forever? My friend Mark has been asking for a tattoo design for several years now. He wants a scary tree. Since the original request, he has asked to include some other things including the names of his family to be included in the design. While I don’t mind drawing trees, scary trees with childrens’ names kinda threw me. I put it off for a long time, claiming to be busy. This went on until he recently caught me goofing off. Mark’s brother, Dave called with a frantic story about a guy hauling a load of scrap metal that reportedly included a vintage Chevy truck. Dave and I are both real suckers for old trucks (as is evidenced by the amount of rusted vehicles that occupy both our places). The thought that one would be going to scrap was too much to bear, so I ran out the door and drove to the highway, positioning my truck at the top of an onramp waiting for the junk to drive by. While I’m sitting there, I’m composing in my mind what I’ll tell the cop that for sure is going to stop, never mind what I’m going to do to flag down some toothless scrapper and convince him to let me have his old truck, before I face certain divorce and public ridicule for bringing another junky truck home. Luckily the scrapper must have broken down or turned off the highway before he got to where I was. When I got home, the accusatory e-mail was waiting, and I had to draw the tree. 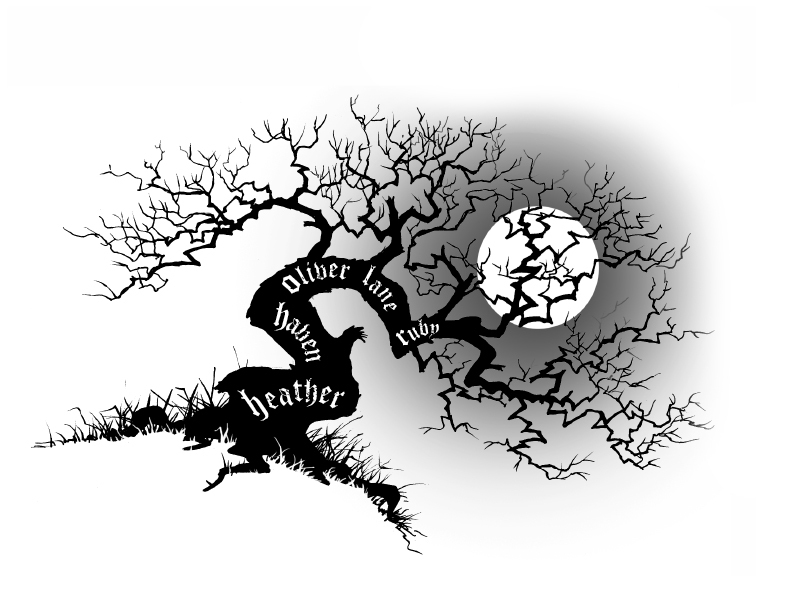 This may not be the final version of the scary tree tattoo, but it’s the first draft with all the components Mark asked for. Except the Swiss flag and some other weird stuff.